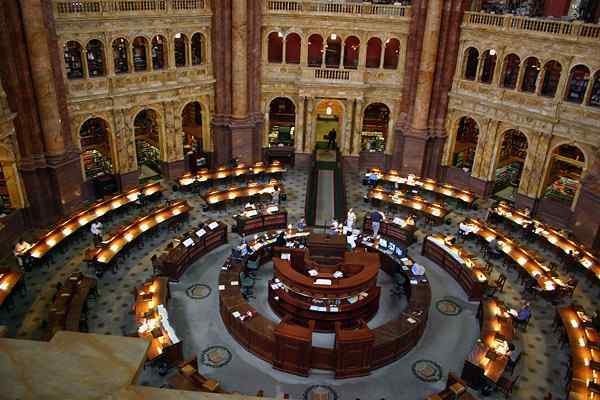 The Library of Congress, Washington DC, USA, is the nation's oldest federal cultural institution and serves as the research arm of Congress. It is also the largest library in the world, with nearly 128 million items on approximately 530 miles of bookshelves. The collections include more than 29 million books and other printed materials, 2.7 million recordings, 12 million photographs, 4.8 million maps, and 57 million manuscripts.